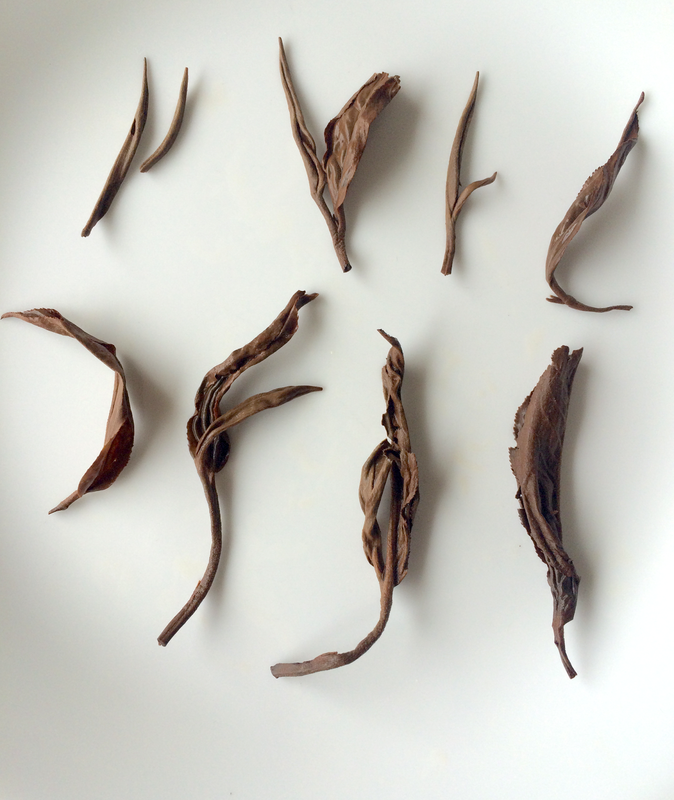 In yesterday's review of Teavivre's Huo Shan Huang Ya, I mentioned my inexperience with yellow tea. By contrast, I have drunken many black teas, or hong cha to use my burgeoning tea terminology. 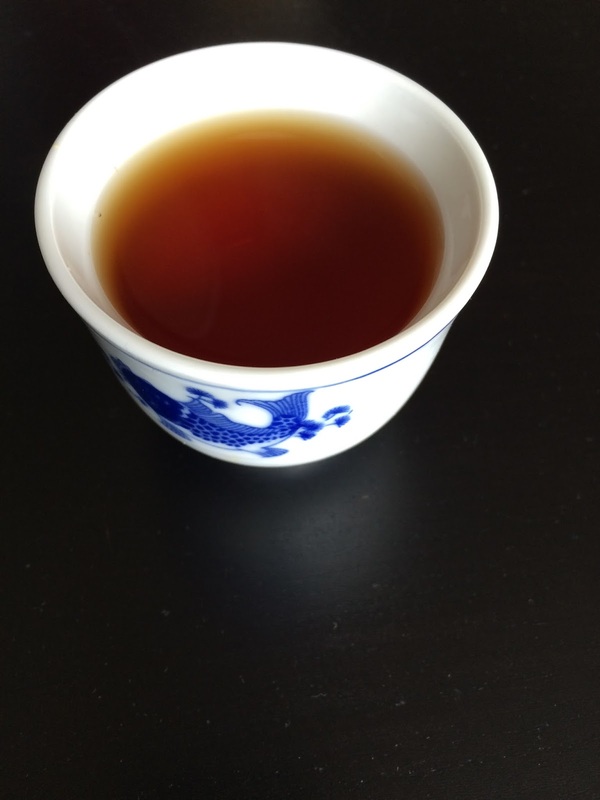 Black tea is known as red tea or hong cha in China. Today's tea is a hong cha: Jinhao Golden Tip Black Tea, Organic from Teavivre. This black tea is a June 2016 harvest of the Bai Hao cultivar from the Yaming garden in Longlin County, Baise City, Guangxi, China. The "golden tip" refers to the golden color of fully-oxidized buds. 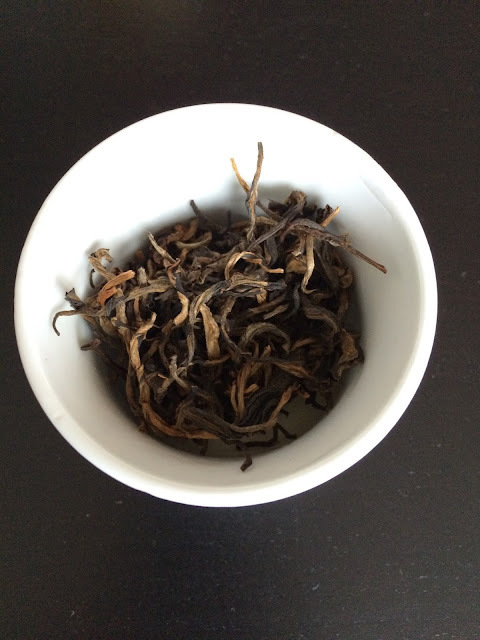 Jianhao Golden Tip is not a dian hong which is a subcategory of hong cha produced from tea grown in Yunnan Province; dian translates to Yunnan and hong translates to red (tea). 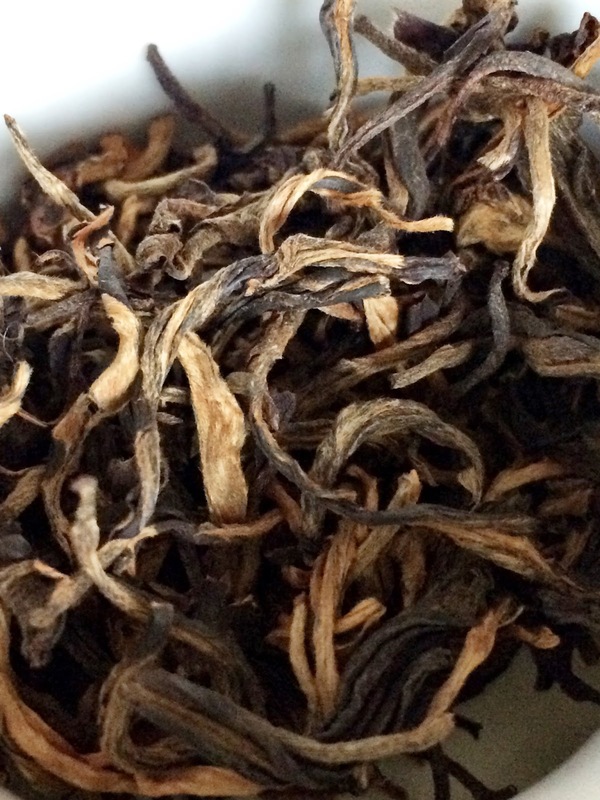 I believe a distinguishing factor between dian hong and other golden tip teas is the amount of buds in the tea, with the highest quality dian hong composed of either 100% buds and/or buds & 1-leaf. Jinhao Golden Tip is a bold, aromatic tea. The cocoa and fruit were my favorite notes in this tea. This black tea would make an excellent choice for a breakfast tea, and please don't add milk. It would also fare well iced as the fruity flavor and creamy texture increased as the liquor cooled. 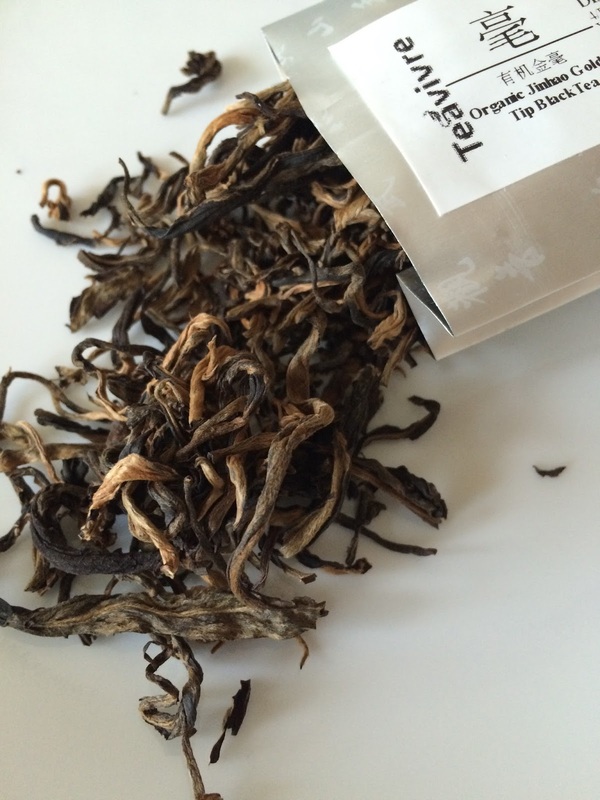 Samples of Organic Jinhao Golden Tip Black Tea were provided by Teavivre.